Ramsgate’s West Cliff Hall has sold at auction for £225,000 – more than double the guide price. The site went unfder the hammer at a Clive Emson auction today (October 29). It was agreed for sell-off in July as part of the council’s asset disposal programme. The decision infuriated Project MotorHouse, headed by Ramsgate resident Janet Fielding, which has been working since 2009 to acquire and renovate the hall to create cinemas; theatres; bars; restaurants, offices and youth facilities. 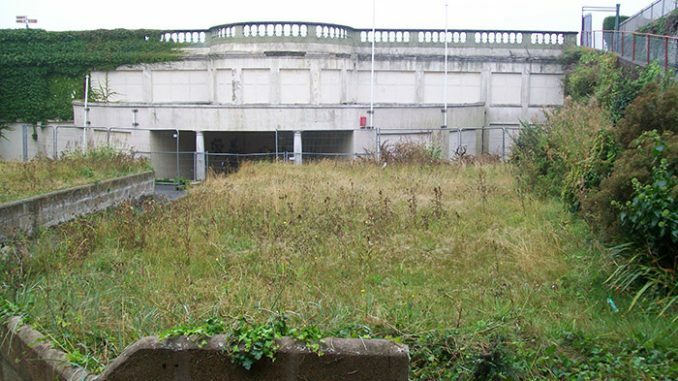 In 2016, Thanet council announced it was seeking ‘a formal development partner’ for Ramsgate’s West Cliff Hall and Gardens who had a ‘regeneration’ and ‘community benefit’ agenda. Three years ago, TDC and Project MotorHouse jointly commissioned a surveyor’s report which found that not only is the steel frame of the building severely corroded and needs replacing, but the outer walls are resting on wet masonry with no other support. The property, at the Paragon, has been empty for 13 years. It opened in 1914 as a theatre, concert hall and promenade venue, adjacent to the Royal Paragon Baths.